Thriller writer Dan Brown drew inspiration for several of his books there. The Bibliotheca Philosophica Hermetica is now rewarded with a gift of 300,000 Euros. 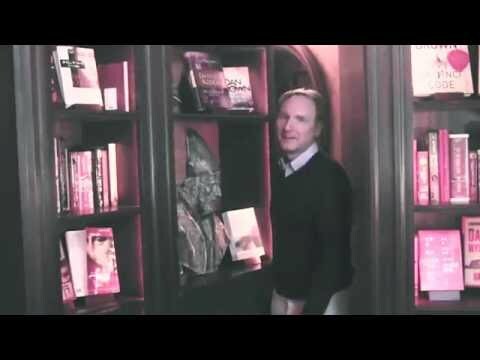 The American author Dan Brown donates 300,000 Euros to the Bibliotheca Philosophica Hermetica in Amsterdam. The writer is a great admirer of the library with its wealth of mystical, philosophical, religious and esoteric books dating from the 15th century to the present, which was founded by retired businessman Joost Ritman. Brown visited several times to draw inspiration for his novels The Lost Symbol and Inferno. The library will use the money to completely digitize its core collection of 4,600 early printed books and 300 older manuscripts. The texts will be accessible online to all as of the spring of 2017. „Dan Brown found a treasure of ‘ancient wisdom’ in our library”, says director Esther Ritman, the founder’s daughter. „We do not want to keep that treasure hidden from view, but share it with the entire world.” The Prins Bernhard Cultuurfonds has also pledged a contribution of 15,000 Euros. The library on Bloemstraat has been closed to the public since 5 April, as it is set to move to the famous House with the Heads. The building was purchased by Joost Ritman and will be undergoing major renovation from July. The house on 123, Keizersgracht dates from 1622 and was home to the De Geer merchant family in the seventeenth century. Their house became a cradle of creative and original ideas in the fields of science, philosophy, culture and commerce. Comenius was one of the people who regularly visited to exchange ideas. A few years ago The Ritman Library was threatened to its core due to a conflict between Joost Ritman and Friesland Bank. „Fortunately those issues are now behind us”, says Esther Ritman. In the meantime her father has transferred his life work to a non-profit foundation, The Worldheart. In addition to symposiums and presentations, small-scale events can be organized on two of the floors of the building, such as living room concerts and weddings. The library will thus have more options to generate income itself. In addition to the core collection with its often finely illustrated works, the library holds some 20,000 more recent books on such fields as Hermetica, Alchemy, Grail, Gnosis and Western Esotericism, Freemasonry, Rosicrucians, Kabbalah, Theosophy and Mysticism. They will be stored in the stacks of the Stedelijk Museum Amsterdam for a year. It is still unknown when exactly the library will be ‘coming home’ in the House with the Heads. The Embassy of the Free Mind, however, intends to schedule activities already during the period of renovation.